The Jaguars are placing tight end Niles Paul on injured reserve with a sprained MCL, as Ian Rapoport of NFL.com tweets. The injury is not a season-ender, but he will have to miss at least eight weeks while on IR, per league rules. The Jaguars have now lost their two best pass-catching tight ends to injury this season. Just one week ago, the club was forced to place Austin Seferian-Jenkins on IR. The silver lining here is that ASJ is also eligible to return, and can suit up one week before Paul. Paul, 29, had seven catches for 65 yards after taking over for Seferian-Jenkins in Week 5. It was his best performance since September of 2014, when he made some noise as a member of the Redskins. To take Paul’s place on the roster, the Jags signed free agent tight end Blake Bell. Bell has 22 catches for 290 yards over three seasons with the Niners and Vikings. That’s far from ASJ’s best work, and nowhere near what Paul can do at his best, but beggars can’t be choosers. For the foreseeable future, the Jags will be working with a core of David Grinnage, James O’Shaughnessy, and Bell at tight end. Defensive lineman Tank Carradine and tight end Clive Walford weren’t the only veteran free agents to work out for the Lions today. 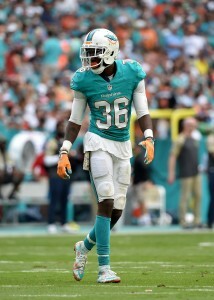 Cornerback Tony Lippett also auditioned for Detroit on Wednesday, tweets veteran NFL reporter Howard Balzer. Lippett, who transformed from a collegiate wideout to an NFL corner, was a 13-game starter for the Dolphins in 2016, but didn’t make it through final cutdowns earlier this year after missing the entire 2017 campaign with a torn Achilles. Provided he’s now healthy, Lippett could give Detroit’s secondary a boost, as the club ranks just 29th in passing defense DVOA. While starters Darius Slay and Nevin Lawson have played well, nickel back Jamal Agnew ranks as a bottom-10 NFL corner, per Pro Football Focus, and is now dealing with an injury. Lippett, 26, has drawn plenty of interest since being cut by Miami, as he’s worked out for the Giants, Jets, Seahawks, and Bills. Here’s the latest from the NFL workout circuit on a busy Tuesday. All links to NFL reporter Howard Balzer’s Twitter account unless otherwise noted. Listed below are the Sunday roster moves for the four NFC North teams. Following the 53-man roster cutdown deadline yesterday, many teams will make slight tweaks to their rosters, claiming players off waivers or signing guys who clear waivers. Those transactions for the Bears, Lions, Packers, and Vikings are noted below. The 49ers completed their wave of cuts and have reduced their roster to the regular-season limit. Here are the final cuts that moved the 49ers down to 53 players.